Let me tell you – I have the hardest job in the world. Okay, so really it’s pretty amazing, but the hardest part by far is being constantly bombarded with breathtaking images taken on Adventures by Disney vacations around the globe. How can I resist the urge to hop on a plane to each and every destination I see? They all look too amazing for words. I have to say, I have the most tempting job in the world, being constantly bombarded with breathtaking images taken on Adventures by Disney vacations around the globe. How can I resist the urge to hop on a plane to each and every destination I see? They all look too amazing for words. Case in point, this incredible “after dark” shot from the Adventures by Disney Wyoming trip. 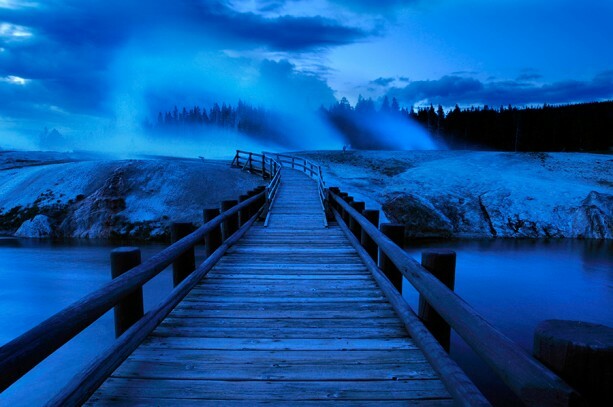 Geyser steam rises, meeting the chill in the April air. And this photo beckons me to come explore this beautiful landscape more. But tomorrow I’ll see another photo. Perhaps of Greece or Laos and I’ll be drawn to those images as well. It’s a sweet torture to imagine all the places I could be right now. Time to scroll through the Adventures by Disney website and pick out my next adventure!